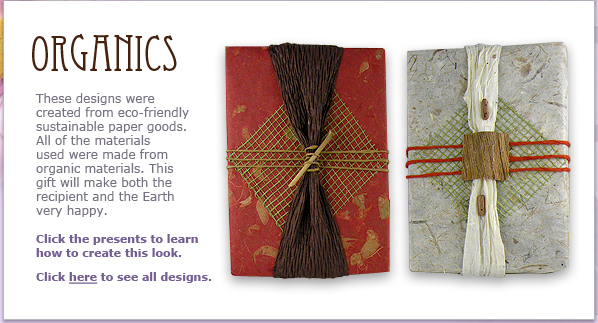 The paper was made from grass and banana leaves, the twine used is made from twisted paper and the gift is accented with coconut buttons, coconut husks and bamboo. These distinctive gift bags are not only made from eco-friendly and sustainable paper goods, they can also be used again and again. 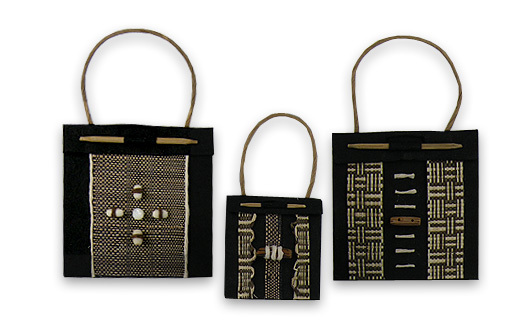 The bags are made from organic from cogon grass and accented with paper twine, woven grasses, coconut and shell buttons.